SARAJEVO, BOSNIA, AND HERZEGOVINA – How should we mark the 100th anniversary of the assassination of the Austrian Archduke Franz Ferdinand and his wife Sophie, the event that set in motion the chain of events that led to World War I? What lessons can we learn from the crisis that began on June 28, 1914? Conventional answers have remained remarkably consistent over the past century—leaders miscalculated, escalation ensued, and public emotion ran high. Europe, which was enjoying a “rich, fat afternoon,” as Barbara Tuchman put it memorably in The Guns of August, found itself pulled into the great machine of industrial war. Machine guns, mustard gas, trenches, and disease soon disabused those who saw glory and heroism on the horizon. Looking at the events from an American perspective in 2014, there is perhaps another lesson to be considered. Peace is not a high-minded ideal; it is rather an intimate partner of power. Peace prevails when competing interests and values are aligned proactively into workable political arrangements. Such arrangements are imperfect, shifting, and not always wholly rational. This is why simple formulas that depend on virtue and goodwill over the realities of power politics are doomed to failure. Americans continue to learn this lesson the hard way. Here was an American institution—independent and non-partisan—with a peace plan. The plan would depend on developing mechanisms of mediation and arbitration. It would hinge on a sort of global ethic—an ethic that recognized the legitimate and universal claims of individuals and nations against oppression and aggression. The Endowment report brought to light troubling realities. The international members of the Commission pointed out that the extreme nationalism they witnessed in Europe was fueled by cycles of fear. 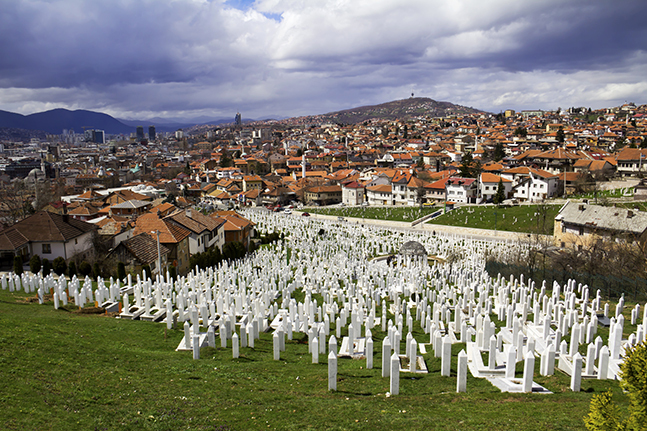 This nationalism was most acute in the Balkans, but it was not limited to the region. The only way out was to aim high—to find a means to unite divergent communities under a sturdy umbrella of international law and organization. The effort, of course, was doomed to failure, as the Great Powers stumbled into the Great War of 1914. As the war continued into 1917, Woodrow Wilson’s presidential adviser Edward House established a study group called “The Inquiry.” Its purpose was to assemble information and policy options for the post-war period. The Inquiry engaged well-known academic experts in politics, geography, European history, philosophy, and law. Among the contributors were the journalist Walter Lippmann, future Supreme Court justice Louis Brandeis, and Columbia University historian James Shotwell. Working with the premises that became Wilson’s “Fourteen Points,” The Inquiry advised Wilson on how he might translate three core principles into specific items for the agreements to be reached at Paris and Versailles. The three principles became common phrases: making the world “safe for democracy;” insuring national self-determination; and establishing collective security by a League of Nations. Wilson believed these principles to be universal. They were, in effect, Wilson’s global ethic. These bookended projects—one before the war and one after—reveal a style of politics and diplomacy that helped and hindered efforts to promote peace in the 20th century. On the one hand, they helped establish procedures for systematic, fact-based, information sharing that shaped the modern art of diplomacy itself. On the other hand, they fed a simplistic notion of peace—the idea that peace can be established by rational plan, followed by force of will, and simple belief in the unity of mankind under a global ethic. Richard Holbrooke, one of America’s greatest diplomats, understood this realist perspective. When the pluralism of Yugoslavia was ripped apart by ethnic cleansing in the 1990s, Holbrooke’s plan to end the war was imperfect but it worked. He combined various elements of power to make it possible to construct an unhappy, but at least stable, modus vivendi. Today that agreement is showing signs of exhaustion and paralysis—but the fact that it still holds is not to be underestimated. Wittingly or not, American peace efforts in the 20th century stumbled on a slumbering force and unleashed it—that is, the notion of self-determination of peoples. Once released, it has been nearly impossible to harness. From its intervention in the Great War in 1916 to the Balkan Wars of the 1990s, the United States helped to make self-determination the great variable of 20th century politics. We still live with the consequences not only in the Balkans, but also most acutely in the geographic arc from Cairo to Baghdad. Surveying current events from Sarajevo—reminded of the calamitous history that rippled out from this place at both the beginning and end of the 20th century—it is clear that passivity in the face of instability is not an answer. But it is equally clear that we should be humble about remedies. Perhaps the best thing we can do on this day is to take a moment to ask ourselves the same question the Carnegie commissioners first asked in 1913. In standing for self-determination, do we stand on rock or on quicksand?